Those of you who watched, or listened to Sept 25th SPRT show already know that Carl had sent an email to the SPRT hosts that Thursday morning explaining that he was stepping down effective immediately due to time constraints. This created a domino effect and one by one John, Kevin and Wade stepped down as well. By the time the show aired, I was the only host still interested in keeping the show running. At the time I wasn’t sure whether I’d be able to manage the show on my own. Luckily, I haven’t needed to. Almost immediately I found two full-time Indie authors with the experience, energy and drive to take the show to the next level. I’ll introduce our two new co-hosts in a bit, but right now I want to address several changes we’ll be making to the show’s format. Several weeks back Carl polled our audience about what they felt were the weaknesses of SPRT and what changes they’d like to see us make. Many of the issues our viewers brought up, were issues we were aware of ourselves, but hadn’t taken steps to address: i.e.- too many hosts, talking over each other, the show being unorganized and going off track. But a couple of things were brought up that we were unaware of. For example, quite a few viewers requested more craft questions, and they wanted to hear the hosts’ opinions on the subjects being discussed. Prior to the other hosts quitting, we’d planned to implement a new show format to address the above issues and provide a more organized show. This new format will start with our October 9th show. Moving forward, each author interview will be broken into four segments. Segment one will be the usual introduction, where the guest author will give a thumbnail account of their background, and how they ended up Indie publishing. Segment two will be craft sections. During this section we’ll ask questions about their process. Segment three will be a general publishing segment where we’ll ask about their publishing schedule, their publishing processes, and their production methods. Segment three will cover marketing and the final segment will cover viewer questions. We will also be alternating the guest interviews with hot topic roundtable discussions. During these roundtable discussions we’ll take the topics everyone is talking about and hold a roundtable discussion on them. We’ll have two guest authors who are pro the topic and two against. The hosts will weigh in with their feelings/experiences during these discussions. Thursday, October 2nd’s show will be all about the new SPRT. You’ll meet the new hosts, we’ll give everyone our individual industry biography and credits and we’ll explain the changes we’re planning on making to the show. October 9th show will be with Indie author Kendra Highley who is writing Middle Grade and Young Adult fiction. 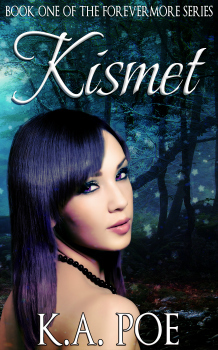 She also has a Contemporary Young Adult out with Entangled Publishing. October 16th will be our first Hot Topic show. We’ll discuss Kindle Unlimited. This should be a very interesting show considering the strong feelings this program has engendered within the Indie community. And now let me introduce you to your new hosts. I have been incredibly lazy through the past few years. While the second book in the series, Forged in Ash, was published by Montlake last January, and the third and fourth books in the series are in various stages of production, I haven’t been writing enough to step back into Indie publishing. 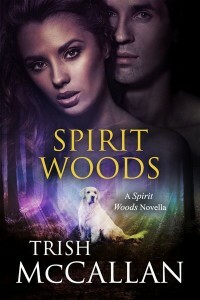 I plan to rectify that this coming year with a new series titled Spirit Woods- a paranormal romantic suspense series about resurrections and second chances. 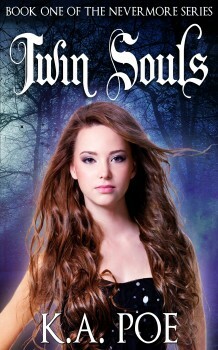 This new series will launch this fall with a 30K word novella titled Spirit Woods, which is slated for release on October 28th through the Twelve Shades of Midnight Box set. The second book in the series, Awaken, is scheduled for publication in early winter of 2015. It will be interesting to see how this new series fares compared to my SEALs series. When it became obvious that I needed to find a new co-host, the first person I thought of was Lindsay Buroker. 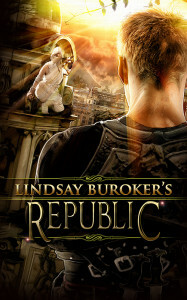 Lindsay is best known for her fantasy novels and has been making a full time living off her writing as long as I have. She has been much more productive than me, however, and has published over a dozen novels across several genres in the past few years. She also pens a very popular blog on her site where she often tackles Indie related news or advice. We’d been getting requests to interview Lindsay long before we convinced her to join us on the show. The interview we did with Lindsay was back in May (SPRT 45, for those who’d like to check it out) and I remember thinking she’d make a great host for the show. Lindsay has tons of experience and knowledge and will make a fantastic addition to SPRT. Our third host is Adam Poe. Unlike Lindsay and me, Adam is much newer to the Indie scene and a brand new full time author. He writes Young Adult/ Urban Fantasy along with his wife under the pen name K. A. Poe and will be launching a solo career later this year. Adam started writing stories in elementary school and never stopped. He wed another writer during college in Tennessee, moved around the country, and then settled down into a traditional corporate job in Arizona. Shortly after having their daughter in late 2010, Adam and his wife Kayla began looking into finishing a fantasy novel together and self-publishing it through Amazon’s new KDP platform. This process took longer than expected, but the couple published their first novel, Twin Souls, under his wife’s initials (K.A. 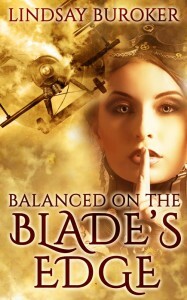 Poe) on Amazon during March 2012. Over the next year and a half, they wrote, published, and marketed as time allowed but made little money. At the end of 2013 Adam and his wife decided to take writing and publishing much more seriously and to develop it into a career and business. It was time to make strides toward leaving the corporate world behind and supporting their family through fiction. Over the first half of 2014 they streamlined their tag-team writing and publishing processes and increased their output and sales numbers by tenfold. Adam and his wife, Kayla, are now a full-time, independent publishing team. Adam is also the owner and operator of Frostbite Publishing, a website dedicated to providing top notch beta reading, critiquing, formatting, and editing services for other indie authors. You can follow his blogging antics at http://adampoe.com or follow his writing and publishing advice at http://wayofthepen.com. He is also on track to put out a new novel under his own name in late 2014. To date, Adam and Kayla have published ten full length novels and one short story. Total book sales are at 35,000 with most of these sales in 2014. Adam is in the unique position of working as part of a team, as a solo author, and as an owner operator of a publishing service company. He will be a great asset to SPRT. If anyone has any questions for Trish, Lindsay or Adam, please leave them in the comments and we’ll answer them during the show.